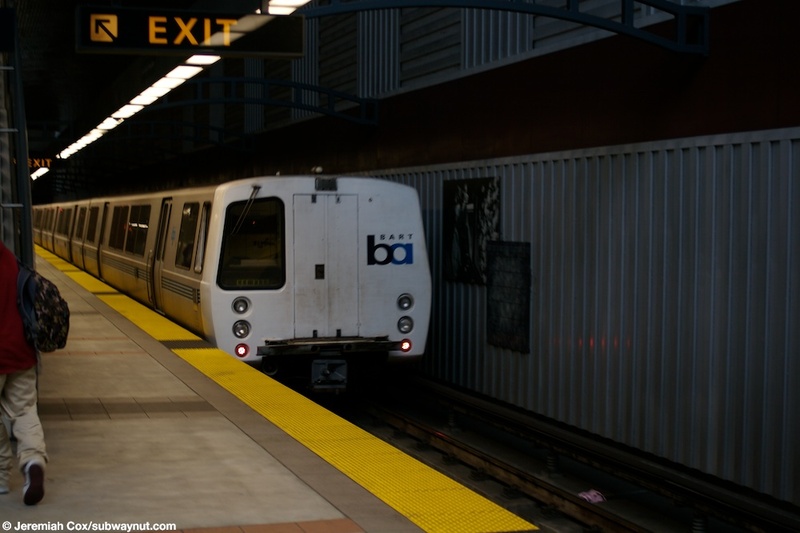 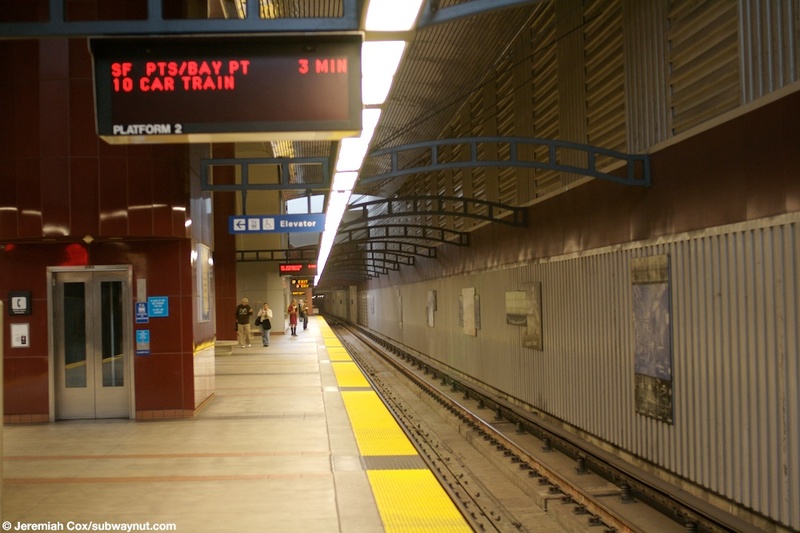 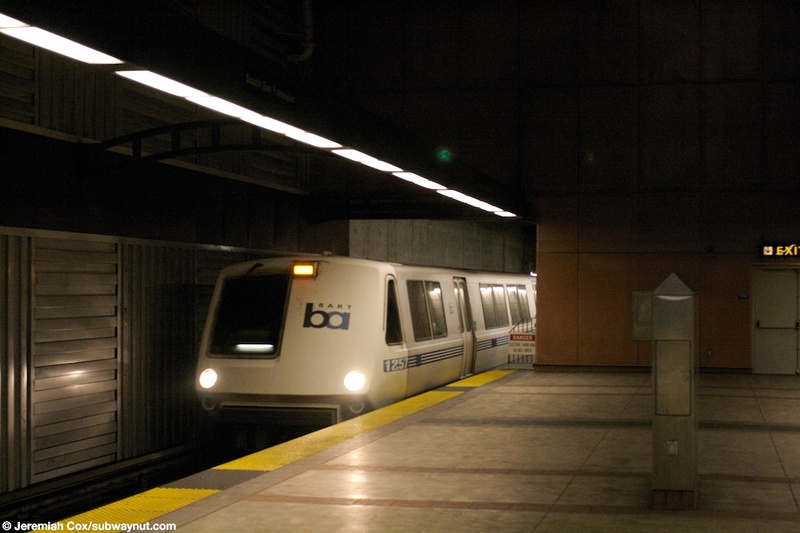 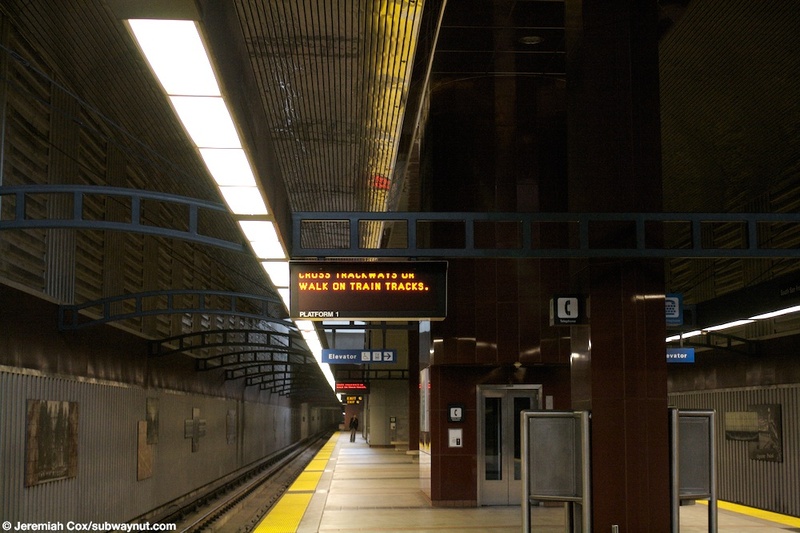 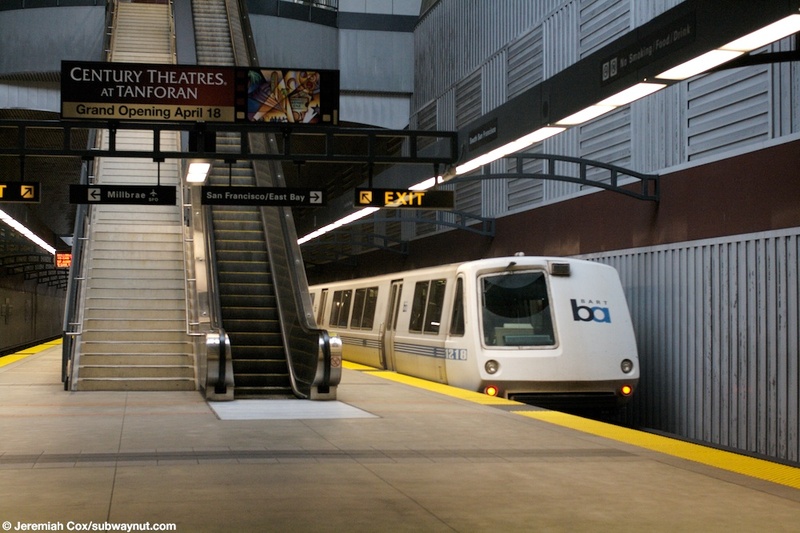 South San Francisco is an underground suburban BART Station. 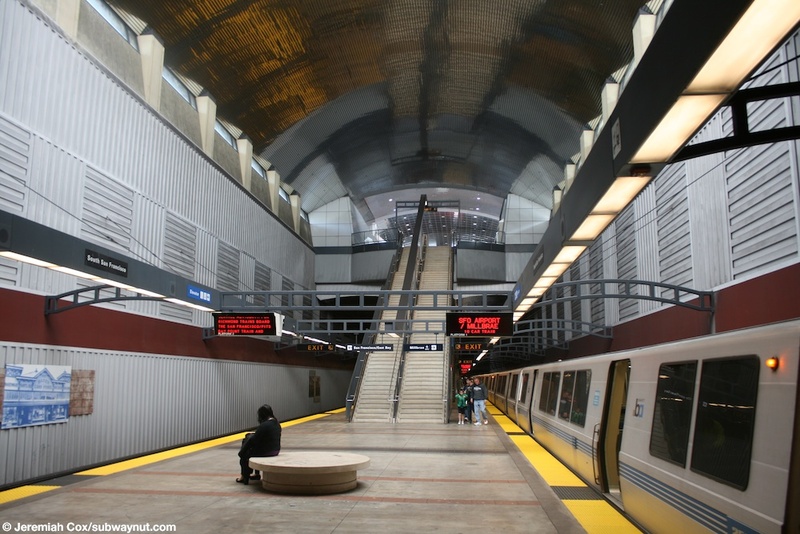 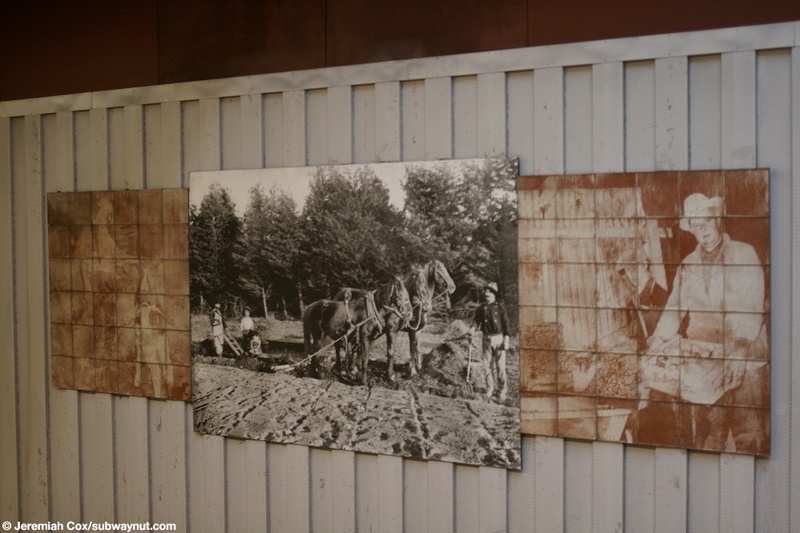 It is the most northern stop to open on June 22, 2003 as part of the SFO/San Mateo County extension project. 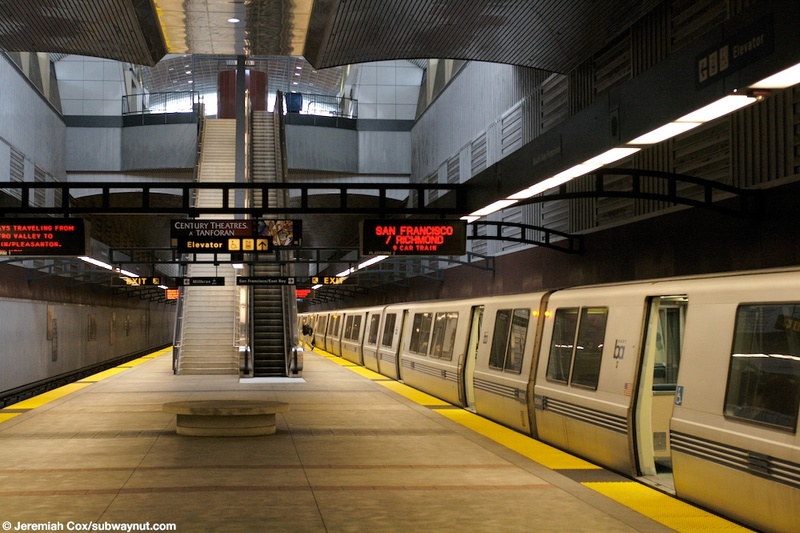 It is located in relatively new suburbs on the outskirts of the older portion of South San Francisco. 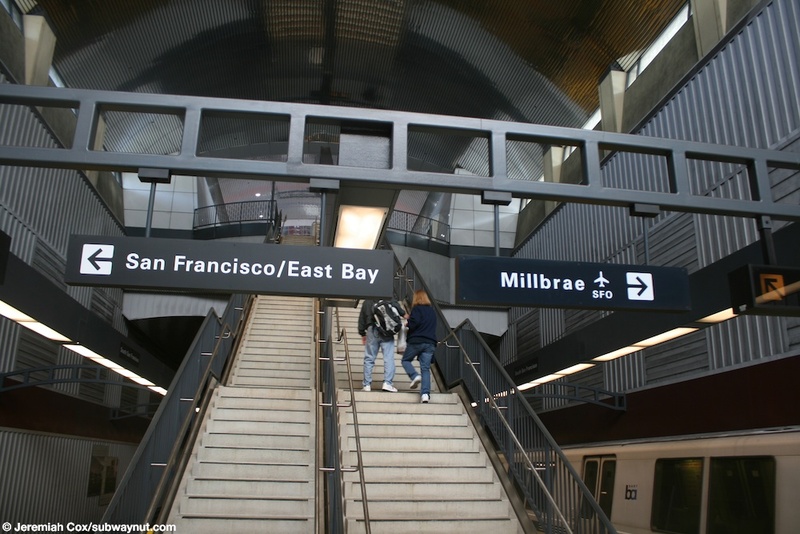 The Caltrain station of the same name serves downtown South S.F. 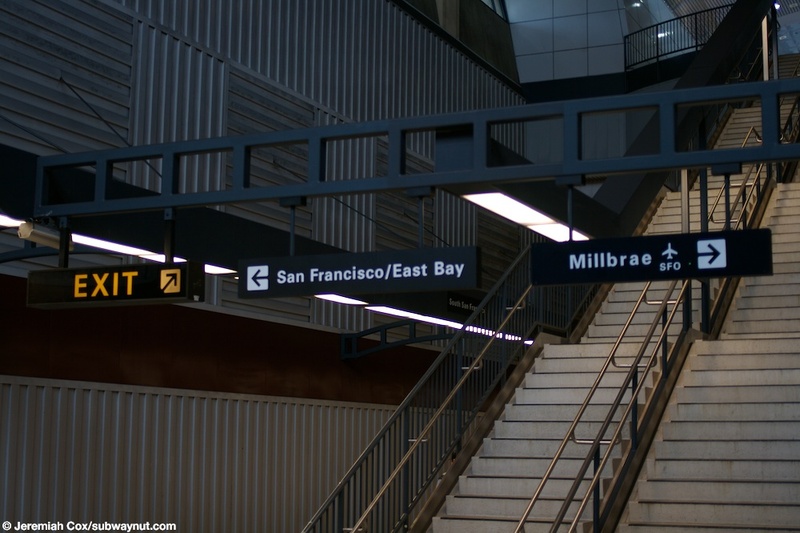 hence the BART station in the newer suburbs. 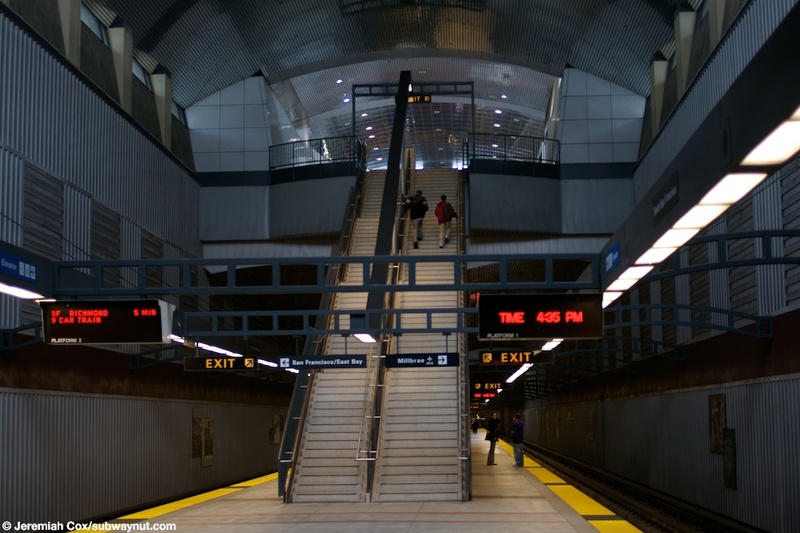 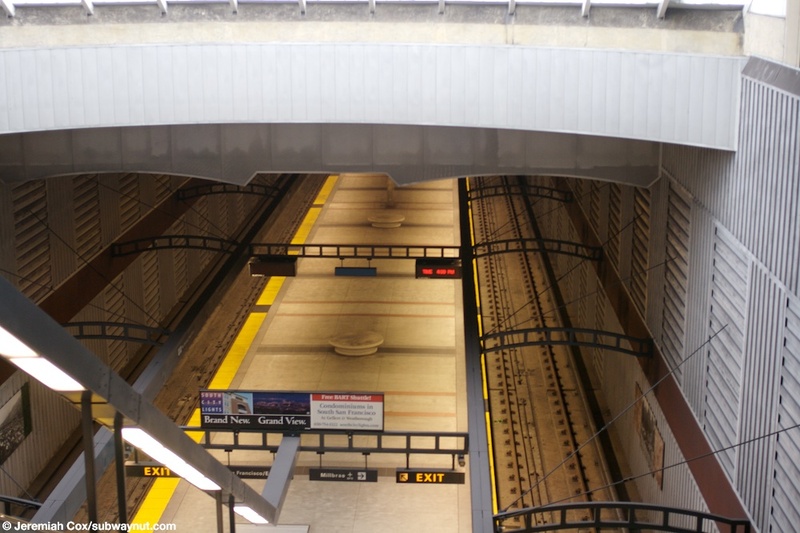 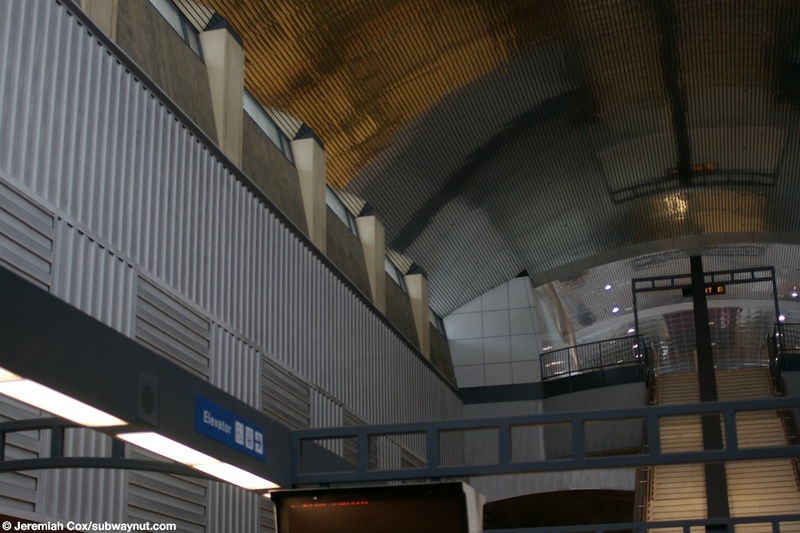 The station is located underground, moderately deep, and has an island platform with three staircases, two of which include escalators. 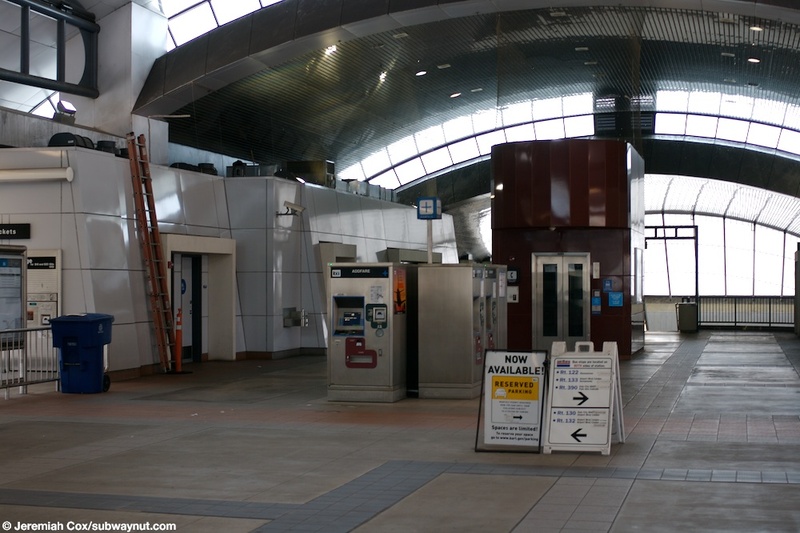 This and the ADA required elevator lead up to the station's building, located at street level. 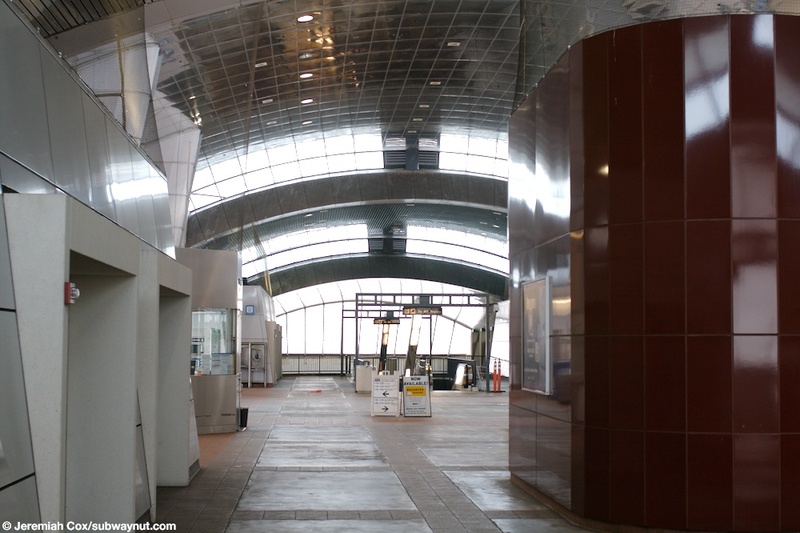 The roof of the station continues for the length of the platform above street level with some skylights letting a tiny bit of natural light down to the platform. 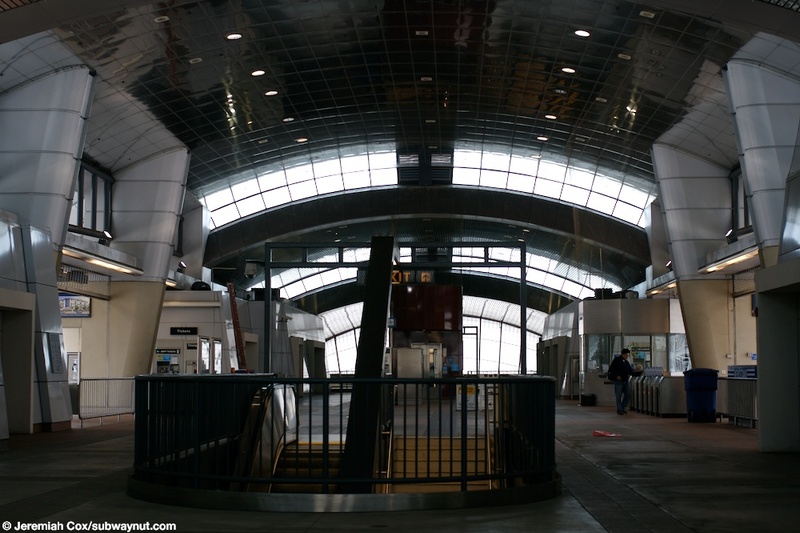 The metallic roof adds to this ambiance with lots of interesting reflections. 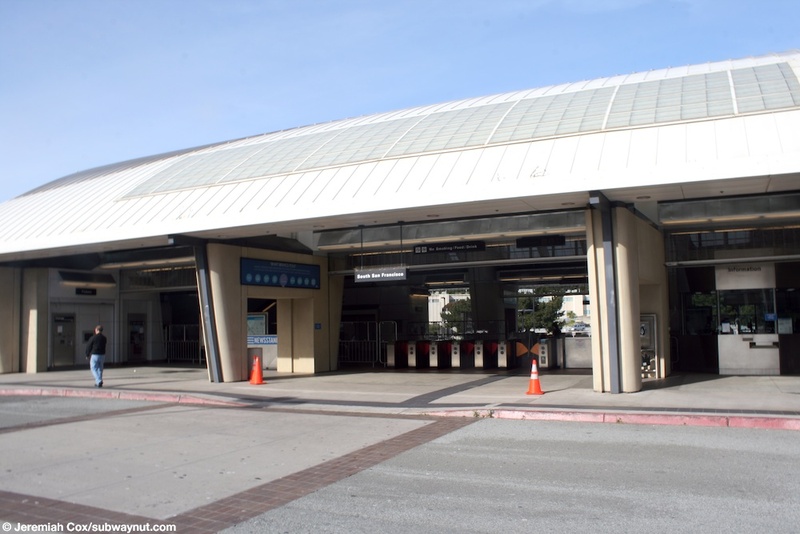 Fare gates on each side of the station building lead out to a Bus stop and drop-off area on the southwest side of the station that Google maps goes so far as to simply call Bart. 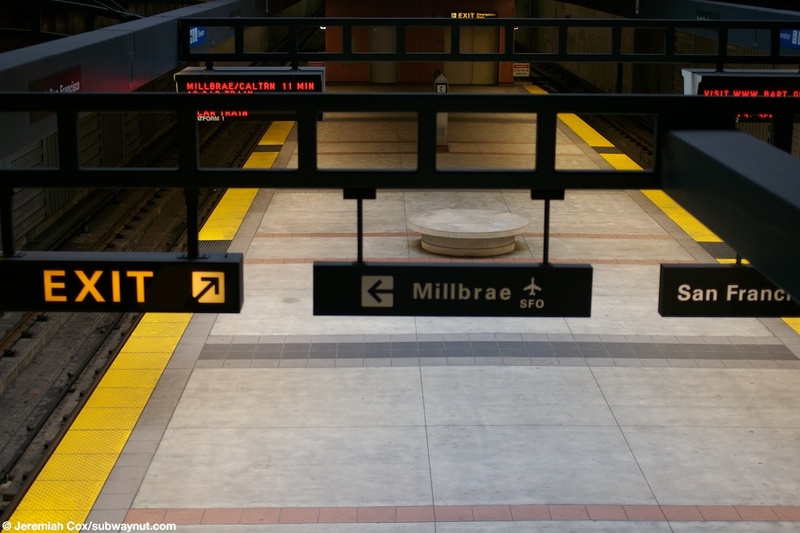 A grand plaza walkway leads across the street and to El Camino Real. 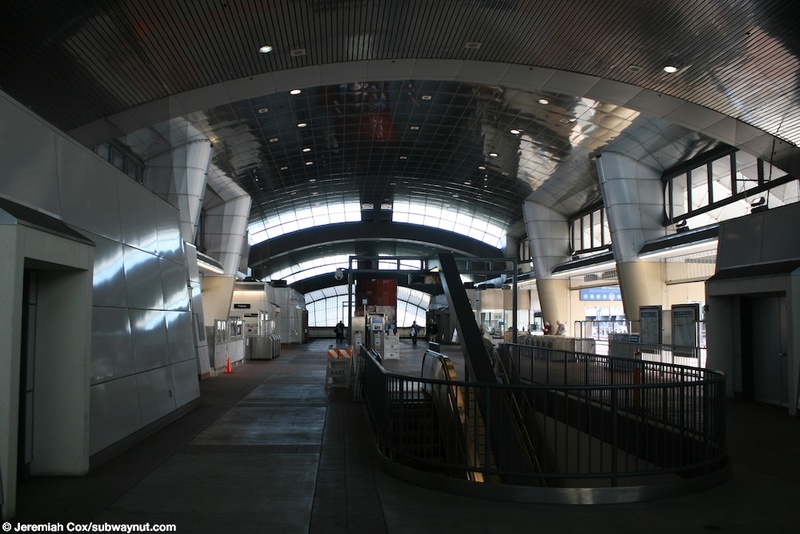 On the southern side of this walkway is a 3 level parking garage. 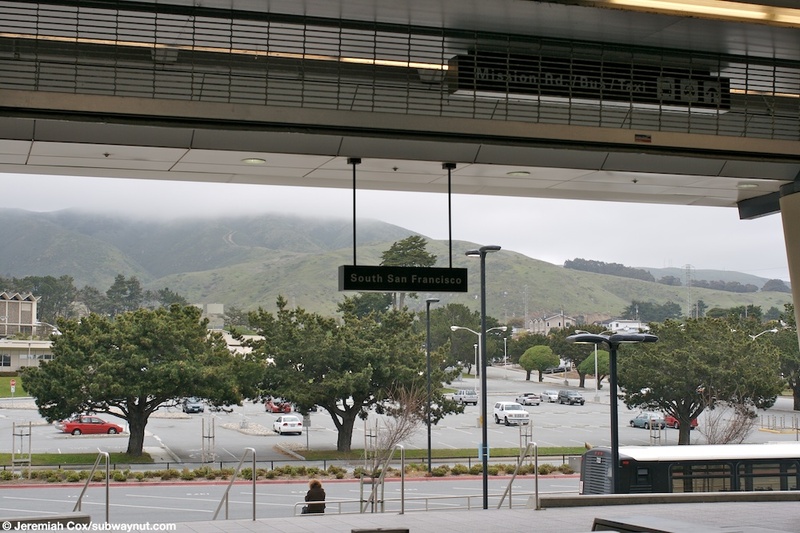 The station has a total of 3,500 spaces in this garage and in three more smaller lots along the north side of the station between it and Mission Road.